Welcome to Vision Care 2000! 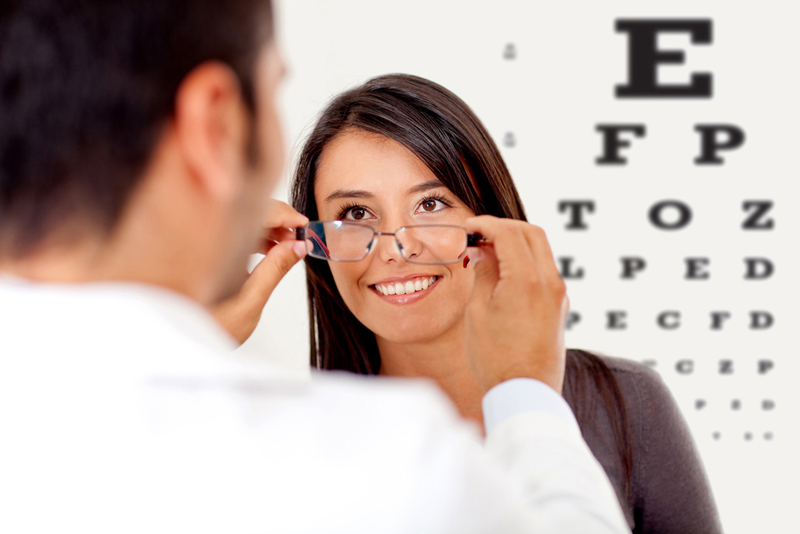 We are proud to be your choice optometrist in Boston. With years of combined experience, a unique one-on-one approach to patient care and the most advanced vision and eye care services in Boston, we are happy to work with patients of all ages. Contact lenses are a popular vision correction options for patients of all ages. To determine whether you are a good candidate for contact lenses, our Boston optometrist will first conduct a contact lens exam and fitting. If you are a good candidate, we will then discuss different contact lens options to find the right type of contacts to fit your lifestyle and vision needs. We offer a wide range of contact lens options including daily disposables, extended wear lenses, colored lenses and more! We are proud to offer a wide variety of contact lens options to meet the many needs of our patients. Contact lenses make a great vision correction option for many people because of their versatility and ease-of-use. Whether you are looking for a daily disposable option to compliment your eyeglasses or you want to explore fashion contact lens options, we’ve got you covered! We are proud to offer contact lens options from a variety of trusted manufacturers including Vistacon, Alcon, Bausch and Lomb, Ciba, Coopervision and more! Our Boston eye doctor knows that routine eye and vision exams are very important when it comes to diagnosing eye health and vision issues early on. Regular eye exams are important for patients of all ages, including toddlers and seniors. Certain eye diseases and conditions can develop without any major signs or symptoms, so it’s always a good idea to stay on top of your annual or bi-annual eye exams. Common eye infections can make completing day-to-day activities seem impossible. From conjunctivitis or pink eye to fungal keratitis, our experienced Boston eye doctor can diagnose, treat and monitor common eye infections to help ensure you don’t experience long-term issues and provide you with the relief you need to get back to your daily routine. Common eye allergies can leave you experiencing a wide array of symptoms including redness, irritation, swelling, dry eye and more. Depending on the severity of your symptoms, our team may recommend several different treatment options including medicated eye drops. Double vision can happen for a variety of different reasons including being overly tired or having too much to drink. While short-term double vision isn’t something to be too concerned about, long-lasting or recurring double vision could be a sign of common corneal irregularities. Eye drops can help to manage dry eyes after LASIK surgery but if the problem persists a second surgery may be needed to correct this issue. Keratoconus is an eye condition where the cornea begins to thin and bulge outward into a cone-like shape. Because of this change in shape, light rays appear out of focus, distorting the vision and making daily tasks extremely difficult. Routine eye exams make it possible to diagnose keratoconus early on. Most mild cases can be treated with eyeglasses, while more advanced cases benefit from special hard contact lenses to correct your vision. Better eye health begins at an early age and with regular pediatric eye exams, our optometrist can detect eye disease and vision issues as your child grows. Additionally, regular eye exams help to track eye coordination and development, focusing skills, peripheral awareness and more! Ortho-K is a vision correction option that utilizes special gas permeable contact lenses. Great for reducing refractive errors like myopia, hyperopia and astigmatism –Ortho-K lenses are a temporary vision correction option that are comfortably worn at night to slowly reshape the cornea. Typically suitable for patients 40 and under, Ortho-K contact lenses are ideal for athletes and adolescents who are involved in sports because they work to correct your vision without eyeglasses or contacts that must be worn during the day. Vision therapy can help to treat many different vision conditions. Similar to physical therapy, this effective, non-surgical treatment uses a progressive program of vision “exercises” to gradually correct common vision issues that include lazy eye, double vision, crossed eyes convergence insufficiency and more. Great for patients of all ages, vision therapy exercises can be completed in our office and at home to help strengthen and reinforce the eye muscles. Our experienced Boston eye doctor provides pre-screening services for patients that are interested in LASIK vision correction surgery. After a comprehensive eye exam is completed, eligible candidates will be referred to a trusted LASIK surgeon in the area. Additionally, we are available to help monitor your recovery post-op, prescribe any eye drops that may be needed and ensure that everything is healing properly. The team at Vision Care 2000 is proud to be your choice for eye disease management in Boston. Preventative care begins with routine eye exams to help our team closely monitor your eye health. Some of the common eye conditions we treat in our office include cataracts, macular degeneration, glaucoma, diabetic retinopathy and more. Dry eye is one of the most common complaints that brings in new and continuing patients to our office each year. This common and often chronic condition is characterized by the inability to produce enough lubrication to nourish the eye. There are a number of different causes for dry eye including age, certain medications, environmental conditions and more. Typically, dry eye can be treated with over-the-counter artificial tears, prescription eye drops or small lifestyle changes. For patients experiencing eye emergencies, we will always work our best to accommodate you and meet your needs. Are you ready to experience the difference with our Boston optometrist? Call (617) 487-4640 or visit us online today to schedule an appointment!